Looks like a real egg - but it bounces!!! Bouncing Eggs - how much fun can you have with a rubber egg? 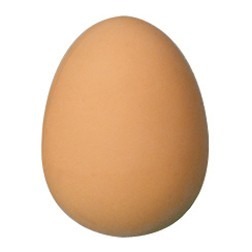 The size, colour and shape of a real egg only its made of rubber and bounces. Great fun at home, at work and in the playground. 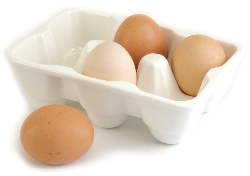 Pop one in the fridge or mix it in with the other eggs in the carton. Don't blame us if you get into trouble ! ! ! Meets CE Mark Standards. Not suitable for children under 36 months.